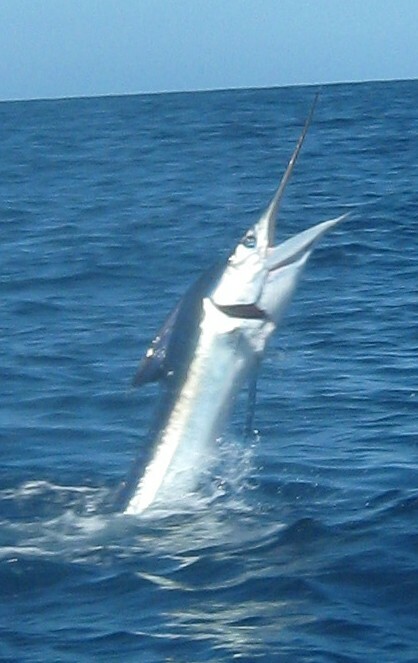 It was a quiet day of fishing, until a sailfish hit the left down rigger and took off. With 20 pound tackle it was great fun. The fish jumped and tailwalked twice. It run over 200 yards. No, we did not get it quite to the boat for picture with the guy on the pole, but, almost.